I’m sure some people would see the title of this post and say, “Why wouldn't you buy a Chromebook? They’re a steal!” Ultimately, I agreed with this view and bought one. However, I went through a period of uncertainty when I looked to replace my current laptop. 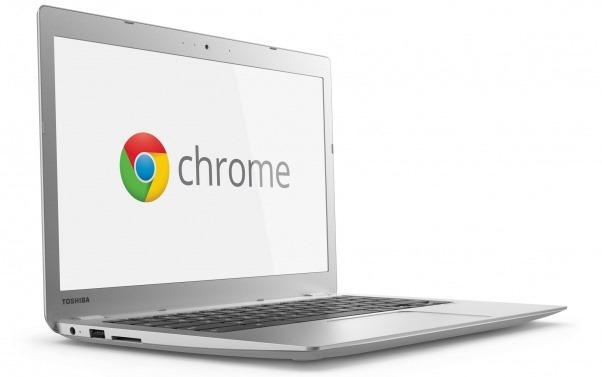 Here are the main factors that swayed me in favour of the Chromebook 2. But before I get to that, I think it’s important to mention that I took my time with this decision. What else did I consider? I weighed the pros and cons of many different options: MacBook Air, MacBook Pro, Windows laptop, Ubuntu laptop, Microsoft Surface, Windows tablet, Android tablet, and iPad. We already have a MacBook Air, Windows desktop and iPad in the house, so that also played into my decision. 1. 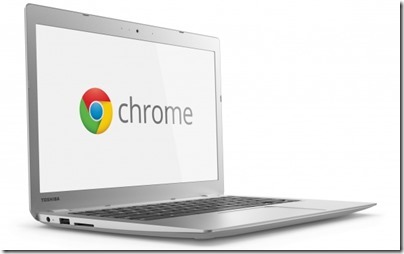 Affordability -- Chromebooks are remarkably affordable. Unlike a MacBook Air, or a Surface 3, they're cheap. I bought my new Toshiba CB35-B3340 Chromebook 2 for $329.99. That's about a third of what I would have paid for the others. Even if it turns out that I don't like the Chromebook, I've made a small investment to find that out. 2. Getting my work done -- I don't care about brands very much and I'm not a zealot when it comes to technology. I just want to get my work done and spend more time with my wife and daughter. If I can do everything I need to do on the Chromebook, I'm happy. These days, I spend most of my time either in email and Word documents. I can use web versions of Outlook, Gmail and Word to do all that. If I need something else, I can remote into my Windows Server at home or my Windows desktop at work, or just use my Wife's MacBook Air. An obvious example is Visual Studio for coding. However, these is a web version that I can try even for that. I'm very curious what the dev experience will be like on a Chromebook. 4. ‘Traditional’ operating systems are too much work -- I was already thinking this way, but a few weeks ago, I picked up a Windows 8 tablet I use at work and found that it was running Windows Update. I just wanted to write a note in OneNote, and I couldn't because the operating system is huge and powerful and therefore takes time to update. This is just one example of the ways that large traditional operating systems (Windows, MacOS, Linux) are just too much work for my use case (see "Getting my work done" above). Chrome O/S is simple and I like the sound of that. Update: Now that I have my Chromebook (I'm writing this update on it), I can say that I'm impressed. I ran into a minor issue during set up (Chromebook setup freezes at Determining Device Configuarion) but restarting was enough to quickly resolve the issue. Since then I haven't hit any hurdles and I'm really enjoying the experience.